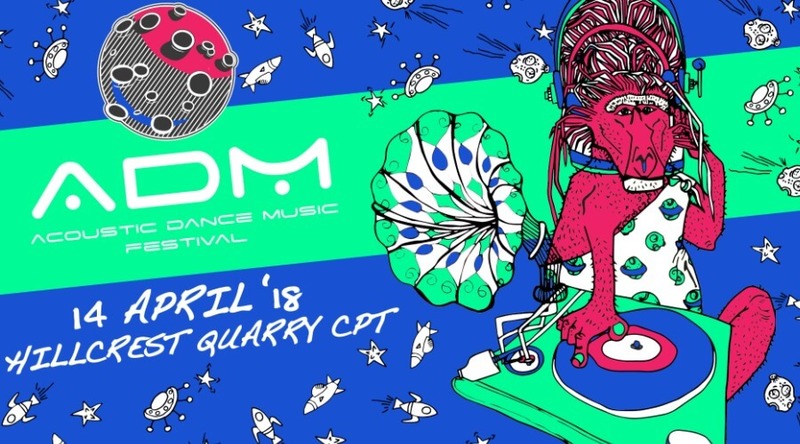 Hillcrest Quarry on the 14th of April 2018 boasts the coming of a new festival concept which brings live dance music to the forefront of the vibe. Introducing ADM (Acoustic Dance Music) where each act is tailor selected to make you want to DANCE!! What would a dance party be without a theme? Come dressed from any time or place, on earth or space! 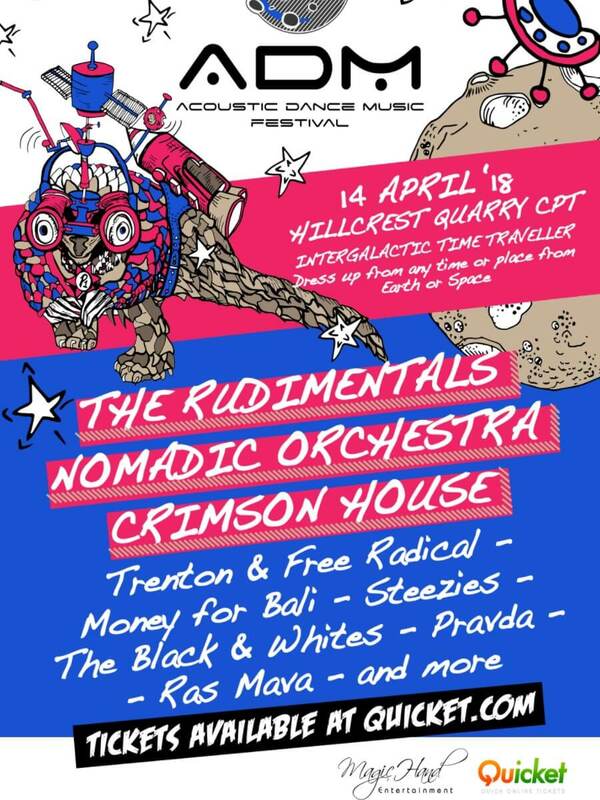 The Rudimentals, Nomadic Orchestra, Crimson House, Trenton & Free Radical, The Steezies, the Black & Whites and More! !